In the six years since Delta and GOL became partners, both carriers have evolved. The Brazilian carrier started as a low-cost carrier but while GOL’s customer experience has changed, perceptions lingered. GOL’s evolution is highlighted by a rebranding campaign launched last month, which promotes new products and services aimed at business travelers as well as leisure customers. The company has invested in improvements such as in-flight Wi-Fi, Live TV, airport lounges, its GOL+ premium economy class and leather seats, as well as digital tools like Selfie Check-In. 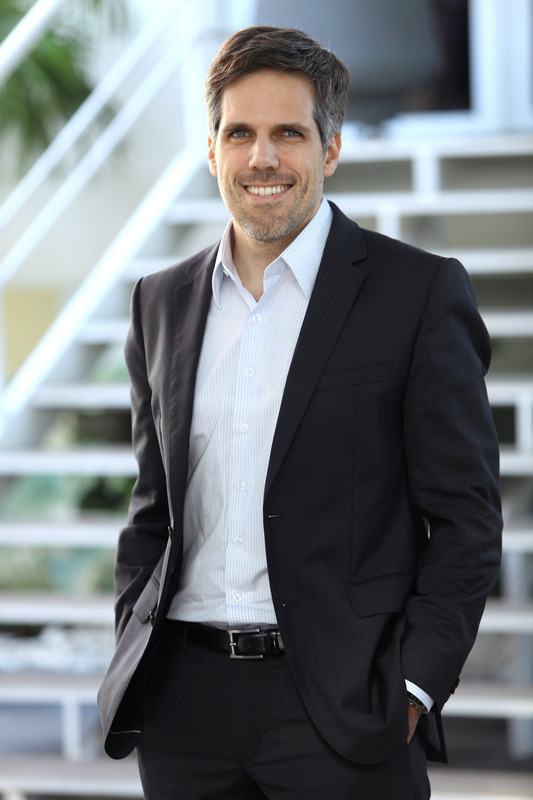 Delta News Hub had an opportunity to catch up with GOL’s CEO Paulo Kakinoff and Mauricio Parise, GOL’s Managing Director - Marketing - a former Delta marketing leader - who are heading up GOL’s brand evolution. DNH: Kakinoff, when GOL began 16 years ago, its vision was to make travel more accessible for Brazilians. The alliance (in which Delta holds a 9.5 percent equity interest in GOL) has brought a host of benefits to customers, but the image of GOL as a low-cost carrier has persisted. How has the new campaign been received by customers? Paulo Kakinoff: The GOL brand’s repositioning is the result of years of product improvements and of work with our partner Delta. We now have enough critical mass to tell a new story and show Brazilians we are not just the largest local airline, but also a high-quality carrier. Our unparalleled network and operational reliability presents a strong offering for business and leisure travelers alike. We are tracking the campaign results on two fronts, via marketing research and with Net Promoter Score, which measures how likely customers are to recommend a product. During the first 30 days of the campaign, customers have responded with increased brand preference. They are talking positively about GOL at home and with friends, and their perception of GOL has improved by 6 percent. Customers see us as an airline changing for the better and an airline they plan to fly more frequently, as evidenced by a 7 percent increase in preference. Net Promoter Score will track what our customers think of GOL’s brand evolution once they have traveled with us. We anticipate an increase in customer preference here as well, based on the initial results of the repositioning campaign. DNH: Mauricio, you are a Delta m arketing veteran who is now leading the marketing strategies for GOL. What were the initial perceptions of GOL, and what is the campaign doing to change it? Mauricio Parise: This has been a unique opportunity to bring Delta’s perspective to GOL, and it has been met with great enthusiasm. GOL seeks to continue being a leader in innovation. It is widely recognized as the largest domestic airline in Brazil, but it was founded as a low-cost, no-frills carrier. Over the past three years, the airline has been upgrading its products and services to cater to a wider variety of customers. However, customer perception of it as a quality airline, in terms of both service and comfort, had yet to catch up with GOL’s reality. The "Manifesto" video is a visual journey of GOL’s history and evolution through technology and ingenuity, inspiring customers to travel on an airline which seeks to give travelers quality of time spend on every step of their journey. This is why the campaign is important, as it clearly articulates how GOL values its customers and the time they spend with flying with us. The ads express how time flying with GOL is well-spent for business customers, who can carry on with their work thanks to onboard Wi-Fi. Time with GOL goes by quickly thanks to our top-notch services and ability to allow customers to control their journey through technology. DNH: What has Delta’s role been in GOL’s rebranding? Parise: Delta and GOL complement one another in the Brazil-U.S. market. Delta provided a roadmap for GOL´s improvements based on its history of service and development of premium products catering to the "high value customer," on the other hand GOL offers widespread brand awareness, a deep in-country knowledge and network coverage, allowing the two airlines to create a unified service that meets the needs of customers across both markets to provide seamless service. Delta is constantly partnering with GOL, sharing its best practices but also respecting the nuances of the Brazilian market and GOL’s corporate culture. We look to Delta to see a new way of doing things. That said, GOL has also been an invaluable partner for Delta. For example, Delta’s level of brand awareness in Brazil was, naturally, lower than GOL’s. 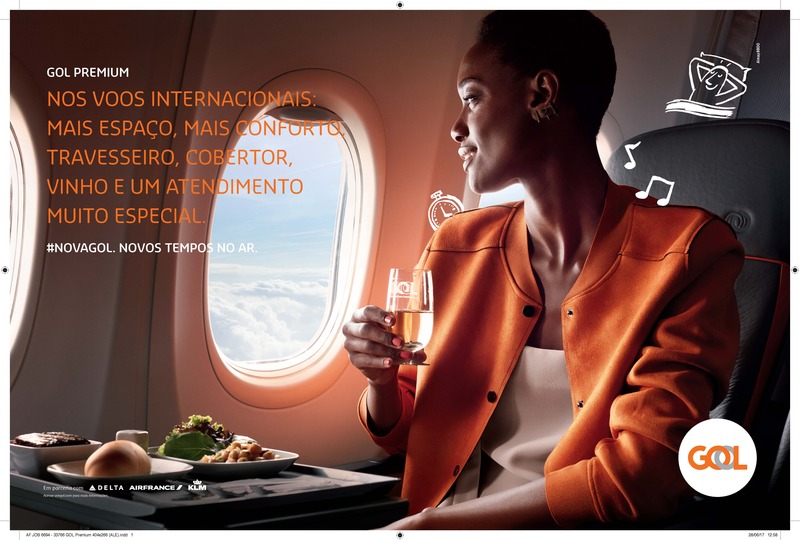 For that reason, all Delta communications in Brazil carry the GOL logo and GOL touch points as well, including ad campaigns, in-flight magazines and even the planes themselves, helping raise awareness of Delta’s brand too. That’s just one of the ways we complement each other. DNH: What are the main product and service changes GOL has put in place? Parise: There have been quite a few. 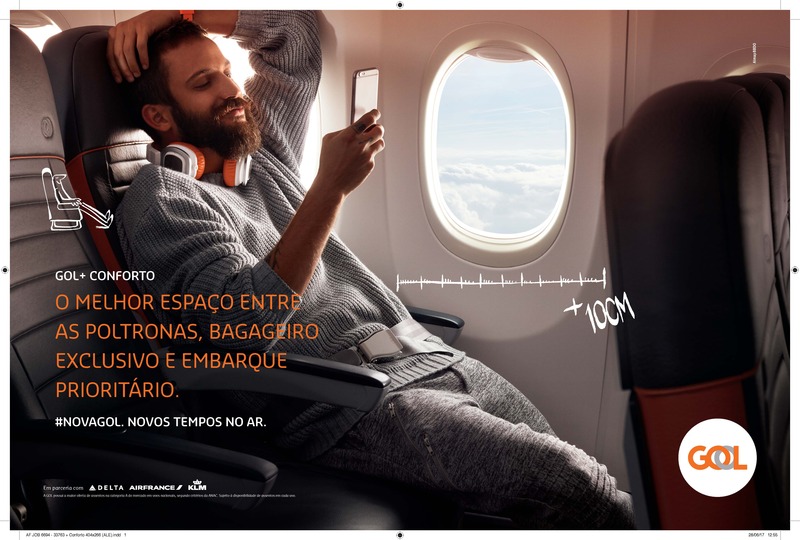 First off is the introduction of GOL+, the equivalent of Delta Comfort+, on domestic flights, making GOL the first Brazilian airline to offer two economy class options. We also launched 2KU onboard Wi-Fi November 2016, currently available on more than one-third of the fleet, with plans to connect the entire fleet by Q3 2018. 2KU is a major step forward in keeping our customers seamlessly connected on board. Our on-the-ground offerings have also improved with the addition of new VIP lounges in Rio de Janeiro and Sao Paulo, offering travelers a comfortable place to relax while they wait for flights or connections. Access to the lounge is complimentary for customers flying Delta One, GOL Premium or First/Business class on Air France/KLM. Diamond, Platinum and Gold Medallion SkyMiles members and Smiles Diamond and Smiles Gold members will also have access to the lounge. GOL is similar to Delta in that both are industry leaders in terms of their technology offerings to customers. While Delta offers options such as live Twitter assistance, GOL has innovations such as Selfie Check-in, making us the only airline in the world to allow passengers to check in through our app using facial recognition. Our innovative app also uses Waze-integrated geo-lo cation services to monitor traffic to the airport starting six hours before departure to provide users a recommended time to leave, and offers alternate options in case the passenger is predicted to arrive at the airport too early or late. We’ve done all this to simplify the travel process for our customers, to make every journey a relaxing one. DNH: Kakinoff, what is in the future for GOL’s image? Kakinoff: With regard to our brand realignment, the process GOL is going through now is, in some ways, very similar to what Delta was facing after its bankruptcy—we need to do a 180 on customer perception. We are going to continue to push forward, delivering excellence in customer service, implementing more technology features to improve customer experience and increasing our operational reliability while reinforcing what our campaign shows with our actions, every day. We value our customers’ time and we want to be their airline of choice.